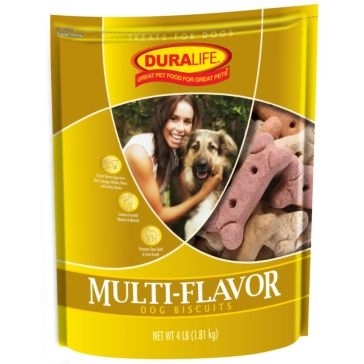 Both dogs and their owners love Duralife pet food and treats. 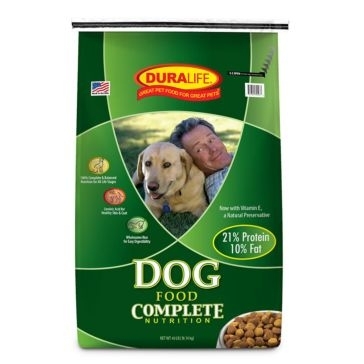 You need pet food that doesn't cost a fortune, and they need food that is tasty and good for them. 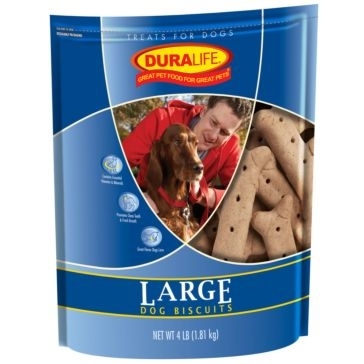 With Duralife brand food, they'll get the right nutrition to run, chase Frisbees and jump into lakes for as long as they live. 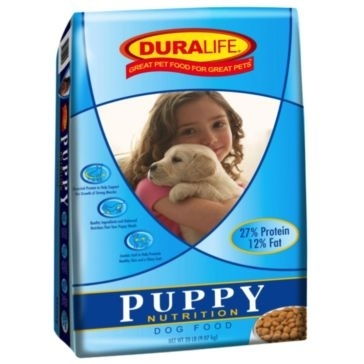 Their complete adult dog food is easy to digest and has the right vitamins and minerals to give them energy, a lean build and a healthy coat. 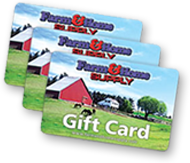 They also have high-protein dog food for canines who work hard on the farm and puppy food to help the young ones develop into strapping grown-ups. 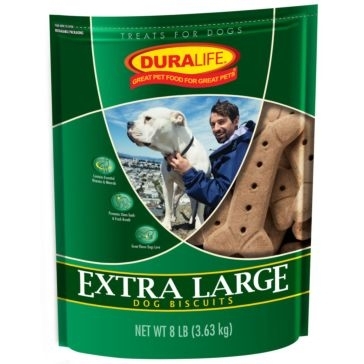 If your pooch has been a good boy or girl, reward them with Duralife dog treats. 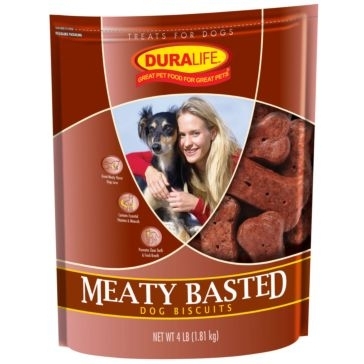 Not only do these dog biscuits have flavors worth begging for, but they also help clean your dog's teeth and give them better breath. 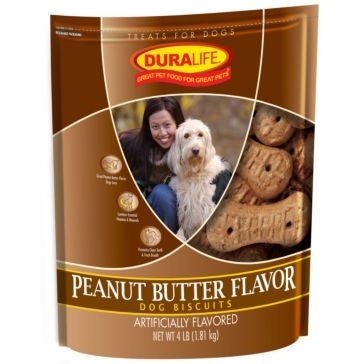 We have regular dog treats, jumbo dog treats, multi-flavor dog treats, peanut butter dog biscuits and other tasty options. 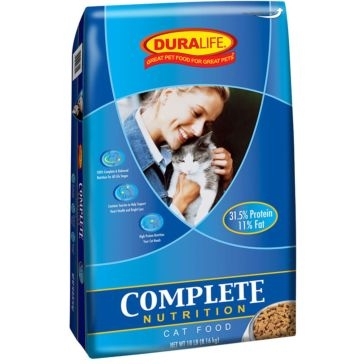 And don't worry cat owners - you can give your felines the same balanced nutrition as dogs with Duralife dry cat food. 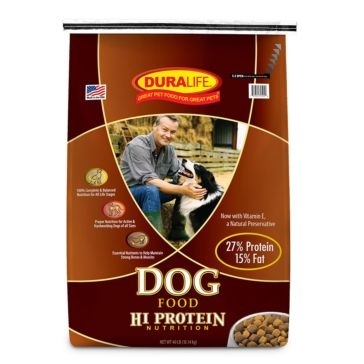 Farm & Home Supply sells Duralife pet food in huge quantities so all you guys and gals can afford to feed your furry companions.